So this week, researchers at the University of New Haven have been focusing on Viber and have found that pretty much everything transferred and stored on the Viber service, except the messages themselves is not encrypted either in transit or at rest (doodles, images, location data & videos). The implication of this is that the lack of encryption leaves Viber vulnerable to sniffing/snooping or MITM attacks via a rogue AP, a telco network or anyone else that can see the traffic in the pipe. The same team published a similar WhatsApp location bug (the location image is sent unencrypted) last week on Youtube – WhatsApp Location Bug/Vulnerability. Popular Whatsapp-like messaging service Viber is exposing users to man-in-the-middle and other attacks because it isn’t encrypting various data at rest and in transit, security researchers have warned. The mobile app allows users to send each other messages, videos, images and “doodles”, share GPS location details and make voice calls. 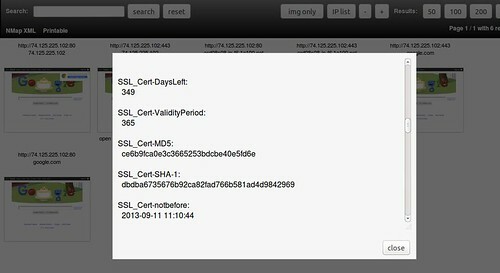 However, researchers at the University of New Haven Cyber Forensics Research and Education Group (UNHcFREG) found a “serious security flaw” in the way Viber receives videos, images and doodle files; the way it sends and receives location data; and the way it stores data on its Amazon servers. The team’s experimental network created a rogue access point utilising a Windows 7 PC’s Virtual Wi-Fi Miniport Adapter and a first smartphone connected to the same network. It then connected a second smartphone outside the network via GSM and used it to exchange data with the first smartphone over Viber. It said that with tools such as NetworkMiner, Wireshark, and NetWitness it was able to capture traffic sent over the test network. The 2nd worry here is that the data is stored on Amazon servers unencrypted, is not deleted immediately and can be accessed without any authentication! That means as long as you can capture the URLs of the videos/files, you can just put them into your browser and download them directly from Amazon. Specifically, the team claimed that images, doodles and videos received are unencrypted; location data sent and received is unencrypted; and data is stored on the Viber Amazon servers in unencrypted format. Further, it said user data stored on Viber’s Amazon servers is not deleted immediately and that it can be easily accessed without any authentication mechanism – “simply visiting the intercepted link on a web browser gives us complete access to the data”. 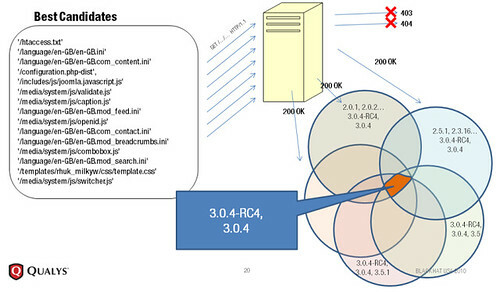 Anyone, including the service providers will be able to collect this information – and anyone that sets up a rogue AP, or any man-in-the middle attacks such as ARP poisoning will be able to capture this unencrypted traffic and view the images and videos received as well as the locations being sent or received by a phone. 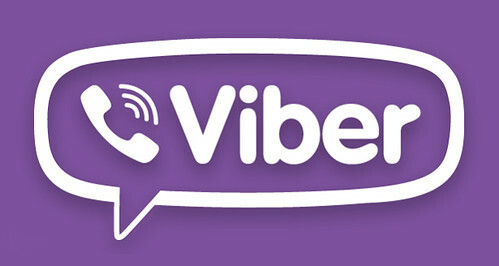 UNHcFREG said it had already informed Viber of the security flaws but received no word back at the time of publishing. A video of the test (h/t The Hacker News) can be found here. It recommended Viber ensure all data in transit is sent over an encrypted tunnel, that data is encrypted properly when saved and that it access to it must require authentication. The Israeli-backed messaging service, based in Cyprus, was recently acquired for $900 million by Japanese e-commerce giant Rakuten in a bid to take the firm “to a different level”. I would imagine with the press/media coverage this flaw is getting, Viber will have to fix this pretty sharp. Honestly with the processing power of phones now, encryption at all stages should no longer be an option or an afterthought – it should be mandatory in everything. Seen as though they’ve taken a look at Viber and WhatsApp – I wonder what will be next? LINE, Wechat? KakaoTalk? Introducing RAWR (Rapid Assessment of Web Resources). There’s a lot packed in this tool that will help you get a better grasp of the threat landscape that is your client’s web resources. It has been tested from extremely large network environments, down to 5 node networks. It has been fine-tuned to promote fast, accurate, and applicable results in usable formats. RAWR will make the mapping phase of your next web assessment efficient and get you producing positive results faster! Along the same line as tools like EyeWitness – A Rapid Web Application Triage Tool – and others which are useful for the Information Gathering stage of a pen-test or vulnerability assessment. Default password suggestions using a list compiled from several online sources. Customizable crawl of links within the host’s domain. The Heartbleed Bug was the big thing last week and honestly pretty much the biggest thing this year so far. 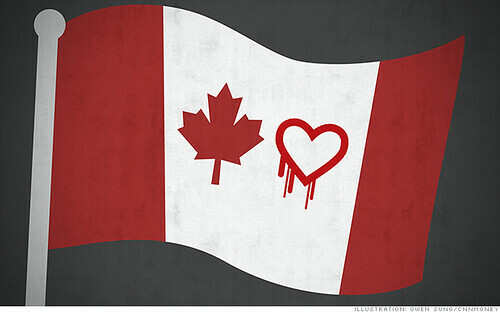 And it turns out someone has been caught using the Heartbleed bug in a malicious way and in Canada no less. The young Heartbleed hacker goes is a 19 year old Stephen Arthuro Solis-Reyes and hails from London, Ontario. It seems he was using Heartbleed against the tax system in Canada (CRA or the Canada Revenue Agency). Cops in Canada have arrested a teen they believe to be behind an attack on the country’s tax system using the Heartbleed bug. The Royal Canadian Mounted Police (RCMP) said 19-year-old Stephen Arthuro Solis-Reyes of London, Ontario, was cuffed and charged with the unauthorized use of a computer and criminal mischief in relation to the theft of taxpayers’ personal records from the Canada Revenue Agency (CRA). He must be pretty n00b tbh if he wasn’t proxying/bouncing his IP around/using TOR/VPNs etc and gets caught in 4 days. But the majority of people that get caught for ‘hacking’ are at that level – script kiddy level. 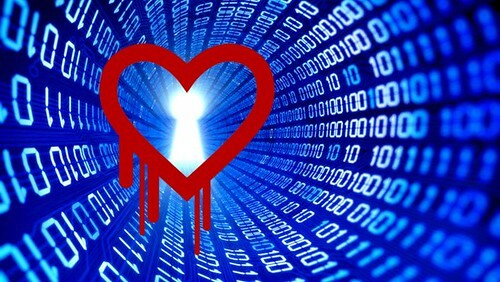 They get a tool like Heartbleed, and run it against a server without really understanding what is going on – and how easily they can be caught. And then boom – they are in prison trying not to drop the soap. Solis-Reyes is alleged to have exploited the Heartbleed vulnerability, present in OpenSSL running on the CRA’s servers, to swipe 900 social insurance numbers. The CRA believes that whoever hacked the systems gathered the sensitive information during a six-hour window on April 9, which was after the first public reports of the flaw and before the computers were patched. The attack marked one of the first known instances of hackers actively exploiting the Heartbleed condition in the wild to steal user data. Though if reports are to be believed, the NSA and (likely) other government organizations have been exploiting the flaw for years in order to gather intelligence info. The RCMP reported that it arrested Solis-Reyes without incident on April 15. The Mounties also seized computer equipment from his home. He is scheduled to appear before a court in Ottawa on July 17 to begin trial. The investigation is still ongoing, although the Mounties did not report of any other persons involved in the attack. So far I haven’t seen anyone else getting arrested for exploiting Heartbleed, and by now Stephen is pretty much World famous. It’ll be interesting to see if any other cases come out, I’m not sure if social insurance numbers are valuable in Canada – or if you could do anything with them – or sell them? Penetration Testing Data Management can be a nightmware, because well you generate a LOT of data and some information when conducing a penetration test, especially using tools – they return lots of actual and potential vulnerabilitites to review. Port scanners can return thousands of ports for just a few hosts. How easy is it to share all this data with your co-workers? Kvasir is a web2py application and can be installed for each customer or task. This design keeps data separated and from you accidentally attacking or reviewing other customers. Kvasir was primarily designed for use on short customer-focused engagements. A directory ‘application’ for each customer would be used allowing for much stronger data separation. For example lets assume two customers, Foo Widgets and Bar Napkins.